Posted by Jill S. Schneiderman in Cape Cod, contemplative practice, earth cycles, earth system science, geologic time, glaciation, Krista Tippett on Being, satellite images. The founder of MIT’s Initiative on Technology and Self made this remark in the context of describing the awe she feels when she walks among the magnificent dunes near Provincetown, Massachusetts. 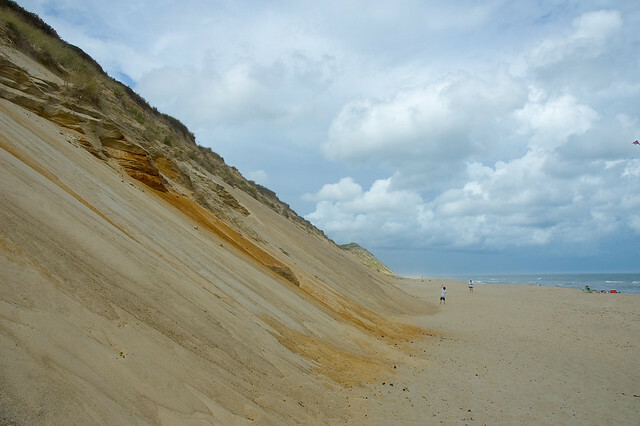 I know well those sand dunes and the extensive tidal mudflats that mark the tip of the Cape. Dr. Turkle thinks of these places as sacred spaces, and I agree. I take my earth science students there to witness the work of wind, water, and sand. And, for a week or two each summer, I go with my children so we can experience the flow of the tides. These are indeed remarkable places in the landscape ripe with possibilities for self-realization. I take my geology students to the dunes and mudflats of the Outer Cape so that they can experience the vast time scales and spaces of earth system processes. 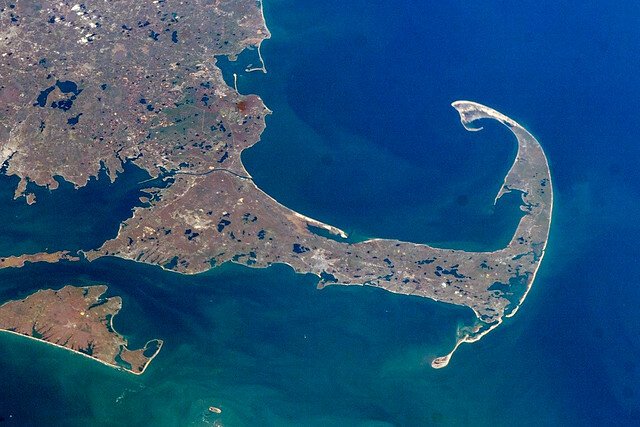 The Cape itself, as some readers may know, owes its existence to the great ice sheets that extended as far south as Long Island during the late Pleistocene more than 10,000 years ago. The mud of the tidal flats and the sand of the dunes are the glacial debris, reworked and sorted by the wind and water long after the ice sheet retreated north. Other reminders of the presence of the massive ice cover in the region are cliffs above the dune fields — the edge of the glacial moraine (a pile of boulders pushed along as the ice pushed south) — and freshwater ponds of neighboring Truro and Wellfleet (“kettle holes” formed when stadium-sized chunks of ice broke off the glacier, became engulfed by glacial sediment, and then melted). All of these features stretch for miles and remind me and all my geologically time-traveling companions that 18,000 years ago — a seemingly long time — this portion of the Earth was covered by a one mile-thick sheet of ice. Encountering this landscape cultivates in me, and I hope in my students, what Jewish scholar Abraham Joshua Heschel called “radical amazement.” For me, this is a soothing feeling of awe and connection. Walking in the dunes or across these mudflats puts me in touch with deep time — for the particles that compose them may themselves be millions of years old, silt and sand moved there merely thousands of years before. Although we walk among them today, the particles have been through many cycles of existence. Formerly they were part of a mountainous land mass; subsequently they were eroded, transported, and deposited at least once. Each grain has an individual history. Collectively they tell a story that encompasses swaths of time that hold all of humanity. I find this reality comforting. 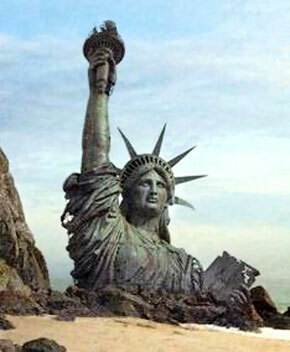 Dr. Turkle worries helpfully about the inner effects of digital objects. 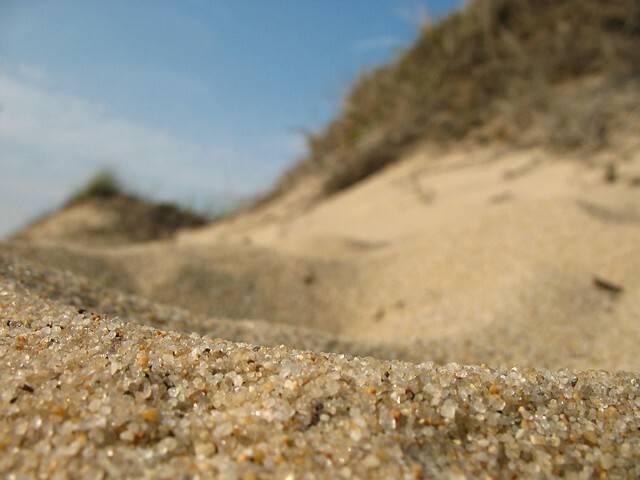 Though she acknowledges the benefits of digital connection, Dr. Turkle laments what people lose as they take to the dunes and mudflats with their earphones in and handheld electronic devices on and open. To her mind, people lose the ability to feel at peace in their own company. I agree, but also would like to suggest that by unplugging from the electronic world in such sacred spaces we increase our capacity to encounter entities larger than ourselves — vast time scales, and past and ongoing earth processes. Thus we enhance our ability to connect with the earth system of which we are a powerful part, and this experience lessens loneliness.